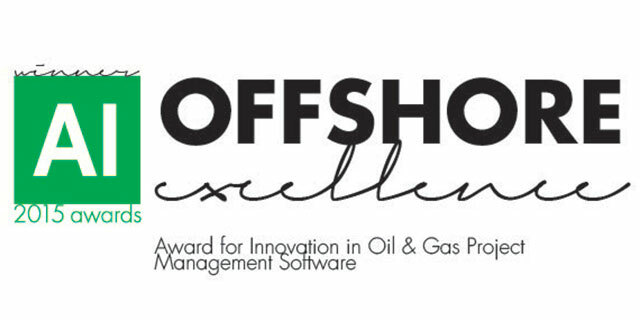 geoAMPS is the winner of 2015 Offshore Excellence Award for Innovation in Oil and Gas Project Management Software. Acquisition International magazine, a publication of United Kingdom-based AI Global Media, selected geoAMPS for the honor. Acquisition International has more than 108,000 subscribers in 170 countries. In addition, the publication maintains a strong online presence. Its website is updated daily with the latest news, features, opinion and commentary regarding the global corporate landscape. The magazine selects Offshore Excellence Awards annually. The Offshore Excellence Awards recognize the world’s leading innovators in all spectrums of the offshore industry. Through the awards, Acquisition International recognizes and rewards advancements, care, leadership and exceptional commitment to client support, commending teams across a variety of services for a forward thinking, client-focused business ethic which has helped transform the offshore industry. “geoAMPS is the premier provider of software solutions to manage land rights and infrastructure assets,” Jonathan Hicks, a member of the Awards Team at Acquisition International, said. “Their main mission is guided by their core values, which will enable them to remain the technology leader in the land rights and infrastructure management industries. For a six-page article in Acquisition International’s Offshore Excellence Awards digital supplement, the magazine interviewed Yogesh Khandelwal, President and Chief Executive Officer of geoAMPS. He also is featured on the supplement’s cover. Based in the Columbus, OH area, geoAMPS specializes in software solutions to manage land rights and infrastructure assets. Today, there are 11 industry-specific software products, including products to serve the oil and gas industry. These products include a geographic information system (GIS) viewer, which can be purchased as a standalone product or combined with any of geoAMPS suite of products. Each product is highly configurable to meet the specific needs of the client. geoAMPS products are available across multiple platforms – Web, mobile, detached and GIS – for optimal flexibility and deployment. With its comprehensive suite of products, outstanding training and 24/7 product support, it is not surprising that geoAMPS has grown quickly to serve clients throughout the United States and abroad. geoAMPS has taken several steps to advance to the position of market leader. The company offers the only software on the market that allows clients to tackle all land management needs within the same software. "Historically, organizations have had to sometimes use 18 different software programs to manage all the information that can be centralized in a single install of geoAMPS,” Yogesh said. geoAMPS configures its software to meet the client’s needs, which reduces the turnaround time for implementation. That leads to improved ROI for the client. “In several head-to-head evaluations, geoAMPS was favored 9-to-1 over our closest competitor,” Yogesh added. geoAMPS introduced mobile technology to the land rights industry. Now, mobile capabilities are the market standard. However, introducing the technology positioned geoAMPS well ahead to the competition. geoAMPS also offers detached capability. Field agents in remote areas that lack Internet connection can still input information on mobile devices. The system has sync-on-demand capability once connectivity is restored. Yogesh expressed appreciation to Acquisition International for selecting geoAMPS for a 2015 Offshore Excellence Award. Dan Liggett is Communications and Public Relations Consultant for geoAMPS, a software company in the Columbus, OH area that specializes in software solutions to manage land rights and infrastructure assets. For more information, call 614-389-4871 or visit www.geoamps.com.